Content: There is some romance (just crushes and a bit of cheek kissing) and some mild cussing. The text is pretty simple. It would be in the middle grade (grades 3-5) section of the bookstore, though I bet 6th graders would like it too. Wallace Wallace (the poor guy getting stuck with parents who named him that!) ALWAYS tells the truth. Mostly it’s because his father was a horrible liar (well, exaggerator/storyteller) who eventually left his mom, and so Wallace decided to never do that. Unfortunately, his truth-telling doesn’t always come off well. In fact, in seventh grade English class everyone was required to read a “classic” — the made up Old Shep, My Pal — book and do a report on it. Wallace’s report, because he won’t lie: the book was awful. And please, no more dead dogs. That report lands him in detention with the English teacher, who is also directing a play — an adaptation of, you guessed it, Old Shep — and so Wallace can’t go to football practice and instead ends up at play rehearsal. And, of course, advocates for changing the play. It’s more complex than that; it also involves pranks and Wallace being set up, and everyone not liking him, and a small middle school romance, but that’s the general picture of it. 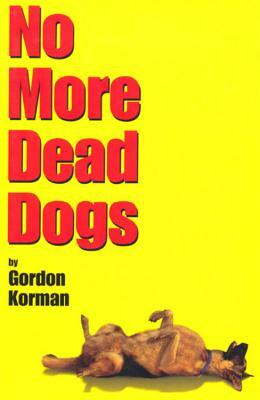 I hadn’t ever read Gordon Korman’s books before, but I’d heard that he was funny and he gets kids. Well, maybe this was just dated — it was written in 2000 — which is often a problem with contemporary realistic fiction. But whatever the reason it really fell flat. The plot was silly (supposedly funny?). I guessed who the prankster was (was I supposed to? Or was it supposed to be a big reveal?) before the characters. I thought the kids were brats (maybe all middle schoolers are). And I just didn’t find it funny. But, humor is subjective: not everyone finds the same things amusing. So, I can forgive that. I can see how kids would eat this up: what I found annoying as an adult, they could relate to. And so I can see how it has value, even if I didn’t like it much at all.